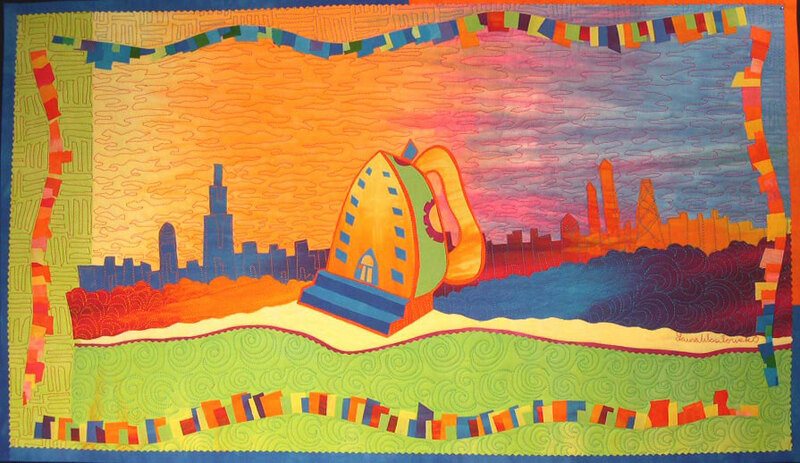 The mission of the Chicago School of Fusing faculty is to endow the school with a distinctive spirit, to foster a deeper respect for fusing, and to instill in educated persons a dedication to the fine art of fusing. Individuals seeking admission to the Chicago School of Fusing must first demonstrate the ability to locate Chicago on a map and to have had some experience with an iron. Undergraduate applications may be obtained by contacting the Office of Undergraduate Admissions or by contacting a faculty member. Off campus courses are available upon request. The imaginary Chicago School of Fusing campus was first located in an aromatic cheese factory on Chicago’s East Side. Later the campus was relocated to the Flat Iron Building (FIB) in the heart of Chicago. Campus facilities now cover several blocks on the famous Chicago River with daily ferry service to train stations and Lake Michigan. The Fusitorium hosts the majority of classes. Technical classes in iron repair and maintenance are held in the The Iron Workers United Building or IWUB. The Flat Iron Student Services (FISS) building houses a large ice machine and Band-Aid vending service near the Nurse’s office. General fusing supplies and steel toed boots in a variety of sizes can be found at the Hot Stuff Bookstore and Uniform Shop. Students are housed in the Black and Decker Dormitories located adjacent to the newest addition to the campus, the Rowenta Sports Arena. Here, the Iron Maidens proudly represent their school in the annual press off. Members of the school are encourage to join the Fusettes Glee Club who are famed for singing the CSOF fight song, “Press on Chicago Fuse” composed by John Philip Fusa. The Chicago School of Fusing was founded in 1997 by Robbi Eklow to advocate and advance the fine art of fusing. 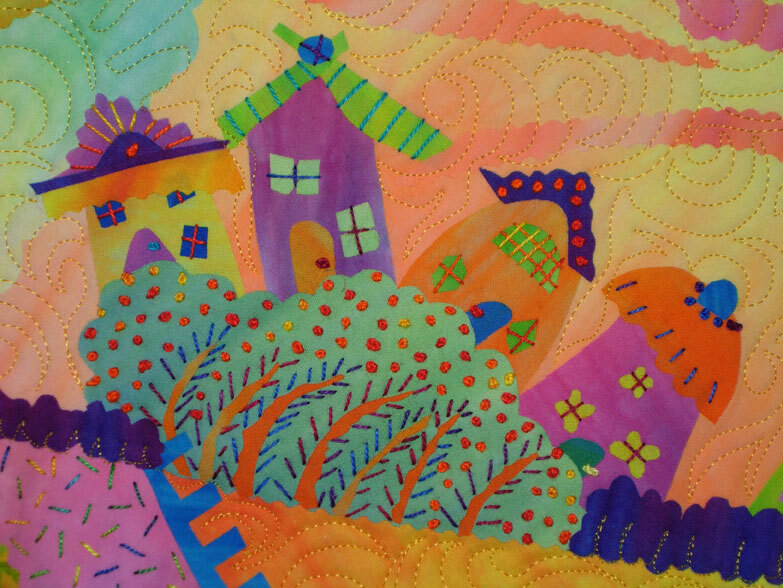 Dedicated fusers- Robbi Eklow, Laura Wasilowski ( now Dean of Corrections), and Melody Johnson- realized a need to proclaim their profession in an educational setting.They began teaching the fine art of fusing to a few forward thinking art quilters and soon awarded badges or certificates of graduation to their students. They now host extension classes throughout the world. (Anyone can print it. It’s not like we’re a certified school or anything).